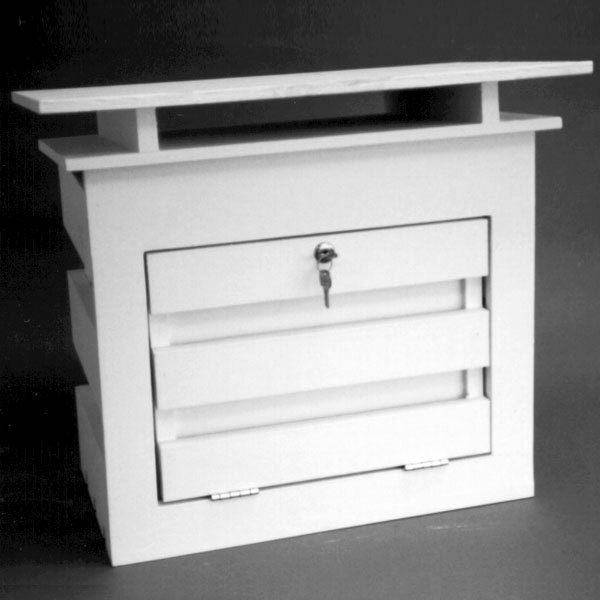 The 380-601 Small Instrument Shelter conforms to U.S. Weather Bureau Specification No. 450.0614 and is made to hold thermographs, hygrothermographs, and other recording instruments. Sides are horizontally slatted for free airflow while providing protection from sun, wind, and rain. The double roof provides additional protection against direct solar radiation. 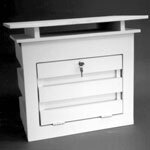 The 380-601 Small Instrument Shelter conforms to U.S. Weather Bureau Specification No. 450.0614 and is made to hold thermographs, hygrothermographs, and other recording instruments. Sides are horizontally slatted for free airflow while providing protection from sun, wind, and rain. The double roof provides additional protection against direct solar radiation. Mounts on a post or leg support (not supplied). The shelter is shipped completely assembled.